Owning a mobile phone was a luxury once upon a time but it is a necessity in the present day. Staying online through mobile phones for business and personal reasons has become a common thing in the current scenario. Though the mobile phones facilitate online connectivity, they consume the considerable amount of battery in the process. Power bank was unknown a few years back. But with the increased spread of power-hungry smartphones in the market, power banks to have become a necessity. 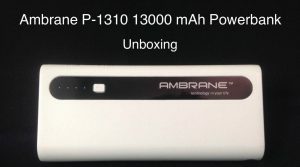 Read our detailed Ambrane Power Bank 13000mah Review 2018 below. The answer to the above question depends on an individual’s mobile phone usage. If an individual is an avid phone user who needs to remain online for his business or personal needs then buying a power bank is inevitable for that particular individual. On the other hand, if an individual is not so much into data usage and only limits himself to calls and SMS then for him it is not worth buying a power bank. Lot of people from Gen X and Gen Y category fall into the above described avid phone user’s category. Gaming, interaction with friends on social networks, banking transactions are some of the common tasks these people perform via their mobiles. 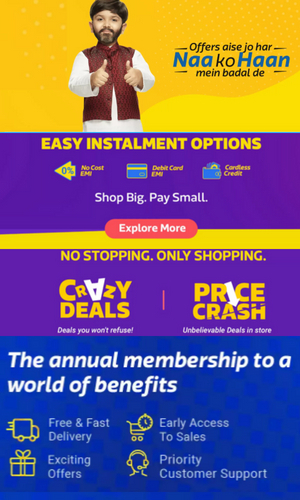 So, they definitely need a power bank as most of the tasks they perform are battery consuming. You can also read Ambrane Power Bank 13000mah Review On Amazon to get a better view of different people using it in daily life. Description: Ambrane, a Delhi based company that is into manufacturing electronics is well known and reputed for its quality products. 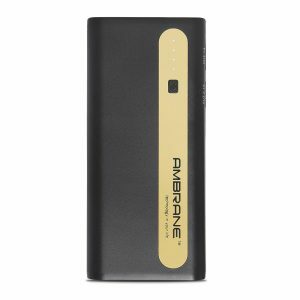 The Ambrane power bank 13000mAH (Black-Gold) is not only efficient in performance but the looks are eye catchy as well with its Black-Gold color built. The dual output charging feature along with the torchlight that comes equipped with the device add more value to the product. 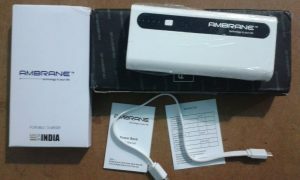 You can buy Ambrane power bank p-1310 on Amazon. 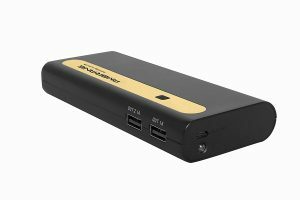 If you are looking at a simple power bank that just juices up your smartphone twice or thrice then Ambrane Power Bank 13000mAH (Black-Gold) is the best bet.